As we’ve reported on numerous occasions, the holidays are a time when scammers try their hardest to take advantage of unsuspecting consumers. The increased number of transactions and deliveries provide ample opportunity for shady characters to make off with their ill-gotten gains, but there are ways to protect yourself. The first step to not falling for a scam is to be informed and know what to look for. To help consumers on this front, the Federal Trade Commission (FTC) has released a litany of materials detailing how to spot fraud and help prevent it. Here’s what the agency says to look out for. As more holiday shopping moves online, consumers will be keeping a close eye on their email for notifications of when their packages will arrive. Unfortunately, scammers are taking advantage of that vigilance to send fake emails that seek to steal information. First, fraudsters send a “delivery failure notification,” that looks like it’s from the U.S. Postal Service, the FTC says. It will detail how the consumer missed a package and that they can download a form and bring it to their local post office to pick it up. However, the agency says this is all a lie. “Here’s the truth: the email is bogus and there is no package. And if you download the attachment or click on a link, you’re likely to end up with a virus or malware on your device,” an FTC announcement stated. There are a couple of ways consumers can protect themselves from this kind of scam. First, look out for a few telltale signs: if an email asks you to click a link, download an attachment, take immediate action, or “re-confirm” personal or financial information, then it’s likely a ploy by a scammer. Additionally, if the link that the email provides doesn’t go to an official website when you hover over it – or the sender of the email doesn’t have a reputable sending address – then avoid it at all costs. The FTC has released information on several other holiday scams that are making the rounds this year. In order to avoid them, the agency provides a few tips that consumers should follow. Many scammers will ask consumers to provide payment in specific ways. Gift cards and wire transfer are the most common because they guarantee that the money will be delivered quickly and in a hard-to-trace manner. Be wary of requests using these options. Scammers will often impersonate trusted sources or people you know to collect your personal information or take your money. If you get a message asking for these details, it’s never a bad idea to contact the institution or person through other means, such as a phone call or face-to-face meeting. This will eliminate any chance that you’re being fleeced. If you plan on giving to charity this year, the FTC says that you should be sure that your money is going to the right place. Charity scammers are out in abundance during this time of year, so always double check that your contribution is going to a legitimate charity and that it is being put towards a cause you support. 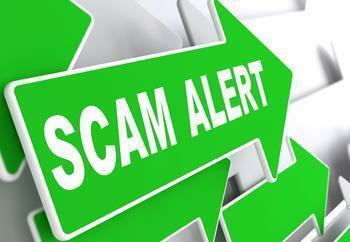 The FTC provides these tips for spotting a charity scammer.